The lines of demarcation between fact, fiction and faction are no longer as clear-cut as once thought. Agnes (Anya) Rasp, wife of the man who discovered the fabulous silver-rich lodes of Broken Hill, is the victim of a false and malicious story. 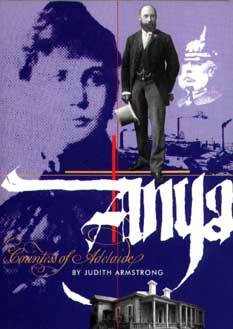 Judith Armstrong has written/edited/translated five previous books. Prior to writing Anya her most recent was The Christesen Romance (MUP 1996), a biography of Nina and Clem Christesen which was short-listed for The Age Book of the Year award. Previously a Reader in the Department of Germanic Studies and Russian at the University of Melbourne, Judith Armstrong now writes and lectures on a free-lance basis and regularly leads tours in Europe.